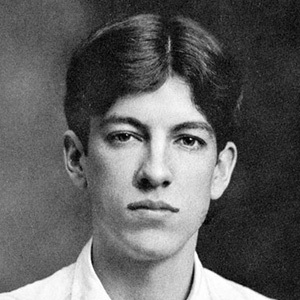 Alan Seeger (22 June 1888 – 4 July 1916) was an American poet who fought and died in World War I during the Battle of the Somme, serving in the French Foreign Legion. Seeger was the uncle of American folk singer Pete Seeger, and was a classmate of T.S. Eliot at Harvard. He is best known for the poem, I Have a Rendezvous with Death, a favorite of President John F. Kennedy. A statue representing him is on the monument in the Place des États-Unis, Paris, honoring fallen Americans who volunteered for France during the war. Seeger is sometimes called the "American Rupert Brooke." Born in New York on June 22, 1888, Seeger moved with his family to Staten Island at the age of one and remained there until the age of 10. In 1900, his family moved to Mexico for two years, which influenced the imagery of some of his poetry. His brother Charles Seeger, a noted pacifist and musicologist, was the father of the American folk singers Peter "Pete" Seeger, Mike Seeger, and Margaret "Peggy" Seeger. Seeger entered Harvard in 1906 after attending several elite preparatory schools, including Hackley School. At Harvard, he edited and wrote for the Harvard Monthly. Among his friends there (and afterward) was the American Communist John Reed, though the two had differing ideological views, and his Harvard class also included T.S. Eliot and Walter Lippmann, among others. After graduating in 1910, he moved to Greenwich Village for two years, where he wrote poetry and enjoyed the life of a young bohemian. During his time in Greenwich Village, he attended soirées at the Mlles. Petitpas' boardinghouse (319 West 29th Street), where the presiding genius was the artist and sage John Butler Yeats, father of the poet William Butler Yeats. Having moved to the Latin Quarter of Paris to continue his seemingly itinerant intellectual lifestyle, on August 24 1914 Seeger joined the French Foreign Legion so that he could fight for the Allies in World War I (the United States did not enter the war until 1917). He was killed in action at Belloy-en-Santerre on July 4, 1916, famously cheering on his fellow soldiers in a successful charge after being hit several times by machine gun fire. Seeger's poetry was published by Charles Scribner's Sons in December 1916 with a 46-page introduction by William Archer. Poems, a collection of his works, was relatively unsuccessful, due, according to Eric Homberger, to its lofty idealism and language, qualities out of fashion in the early decades of the 20th century. One of his more famous poems was I Have a Rendezvous with Death, published posthumously. A recurrent theme in both his poetic works and his personal writings was his desire for his life to end gloriously at an early age. This particular poem, according to the JFK Library, "was one of John F. Kennedy's favorite poems and he often asked his wife (Jacqueline) to recite it." On 4 July 1923, the President of the French Council of State, Raymond Poincaré, dedicated a monument in the Place des États-Unis to the Americans who had volunteered to fight in World War I in the service of France. The monument, in the form of a bronze statue on a plinth, executed by Jean Boucher, had been financed through a public subscription. They did not pursue worldly rewards; they wanted nothing more than to live without regret, brothers pledged to the honor implicit in living one's own life and dying one's own death. Hail, brothers! Goodbye to you, the exalted dead! To you, we owe two debts of gratitude forever: the glory of having died for France, and the homage due to you in our memories. Alan Seeger Natural Area, in central Pennsylvania, was named by Colonel Henry Shoemaker. It is unknown if Alan Seeger had any connection to the area or why Shoemaker chose to memorialize the poet. The area is known for its virgin trees. The liberty ship SS Alan Seeger, named after the World War I soldier and poet, was launched by the California Shipbuilding Corp. She was a tanker, laid down 4 September 1943 and launched 5 October 1943. The war over, she was sold to a private company in 1947 and collided with the USS Von Steuben (SSBN-632) in 1968 (after a name change to Sealady). This article uses material from the Wikipedia article Alan Seeger, which is released under the Creative Commons Attribution-Share-Alike License 3.0. ( view authors).